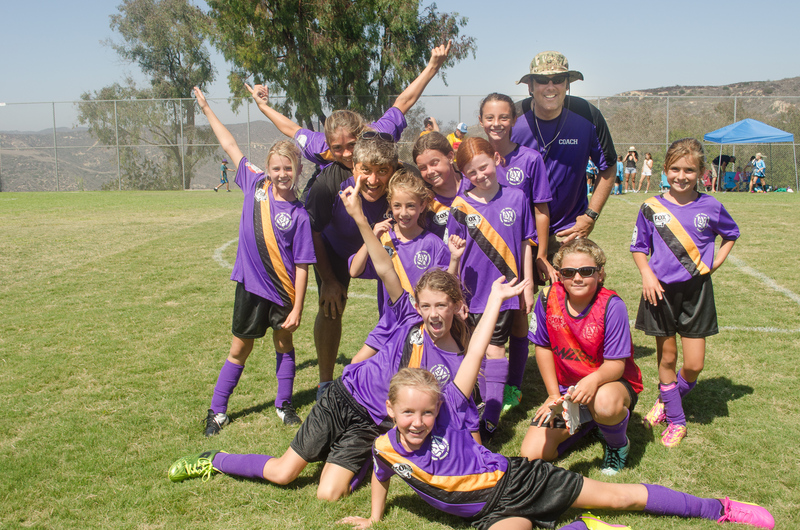 Thunder Waves, an under 10 AYSO team, celebrate their first place win in the regular season. From left, Ava Steris, Siena Jumani, Coach David Jumani, Maris Morgan, Izzy Gray, Alexa Sarkisian, Hadley Hunt, Allie Nottage, Marlena Steinbach, Natalie Boyd, Coach Chris Boyd and Sophia Billy. Photo by Laura J.